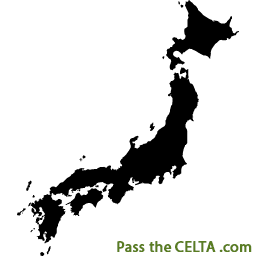 If you’ve been thinking about doing a CELTA course in Japan, you should look into the CELTA centre in Kansai. Here you’ll get professional instruction from qualified CELTA tutors, get realistic teaching practice, and at the same time have the opportunity to explore Japan in all its glory. Japan is a country of contrasts. You’ll get to experience the hustle and bustle of its major cities such as Kyoto, Osaka, and the capital Tokyo, or you can venture further afar and admire the picture perfect backdrops of the Japanese nature. Despite its relatively small size, you’ll need at least a few extra weeks to see and do everything else you want to do. So, when you enroll in your CELTA centre in Japan, make sure you’ve got enough time to travel about at your leisure and see the sights.